In the professional world, references make a great difference. A reference is one where somebody gives a good recommendation of another person who he knew professionally. This can help the second person to secure a better employment opportunity that what he is engaged into currently. Writing such formats can be quite tough. 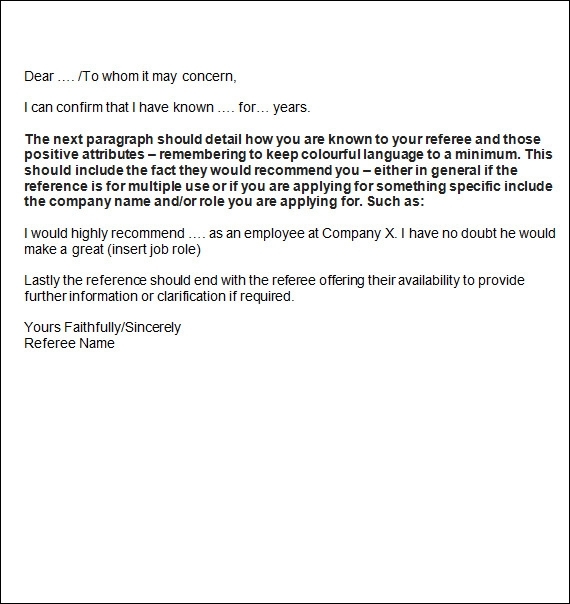 The reference letter template that comes in the format of word, excel and pdf can be downloaded for help. Here in we will be taking a look at some of the formats of reference letters that can be used. 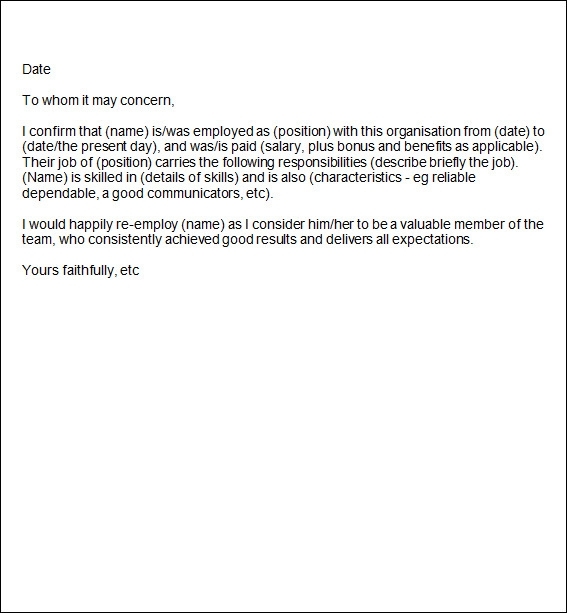 You may check Manager Reference Letter. 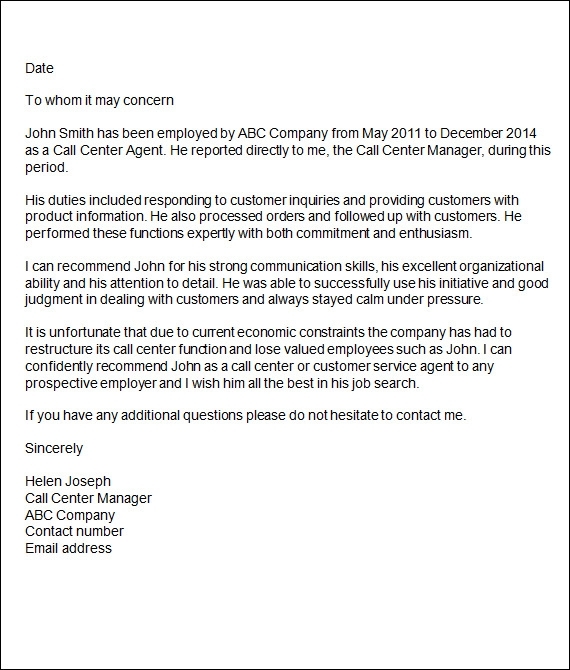 This is a reference letter template that can be use for a company and not for any individual. The first and the most important thing that we learn here is that reference letters are needed not just by employees but also by companies in the process of securing new clients and customers. The format of this letter clearly explains that is this is a formal letter from a person who will need a reference check. This is a formal permission letter format where the person is asking for permission from another person who will give recommendations for the first person. This is a template that can be downloaded in the excel format. 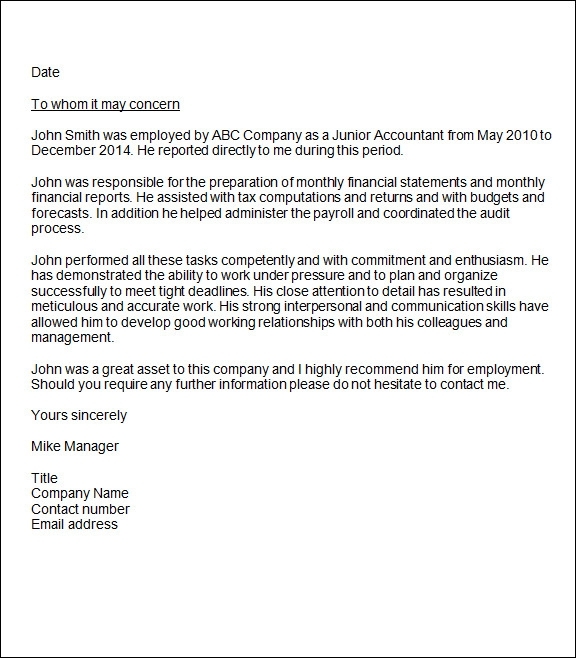 This is a reference letter template that is ideal for a reference letter creation. 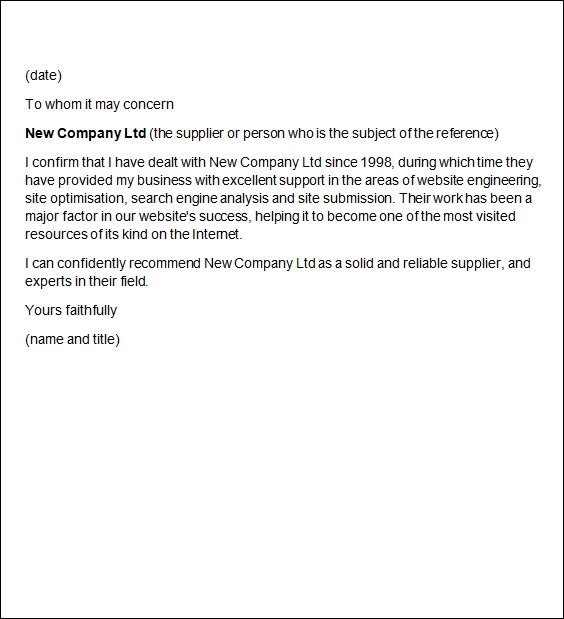 The template supports paragraph style of writing and also that this is a template that is fully editable and comes with a great resolution range for great printout quality. 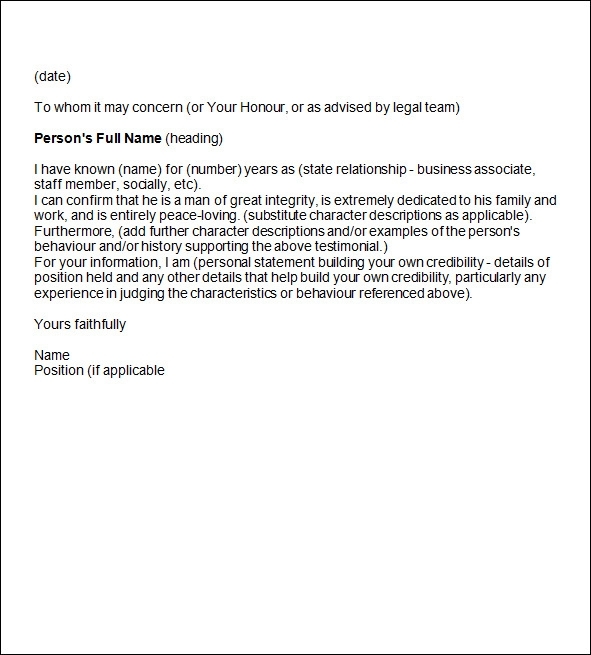 This is a design that can give a great support to a character certificate or reference letter. The design of this template supports a paragraph style of writing. 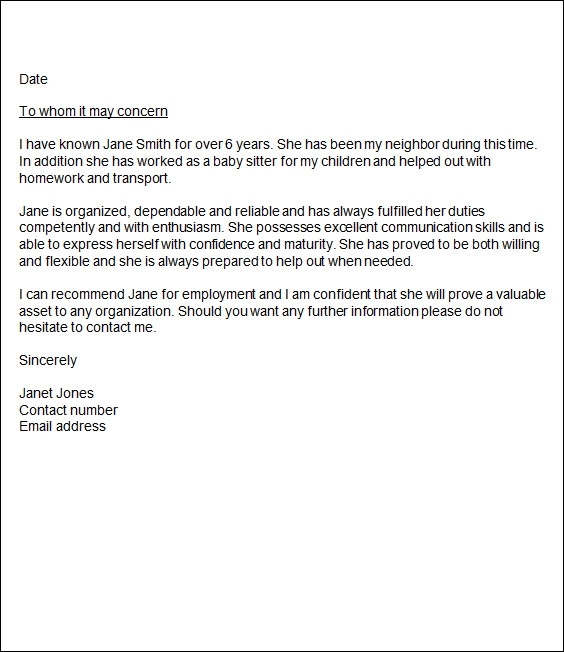 This is a letter format that can be used by schools and also for business and the professional world. 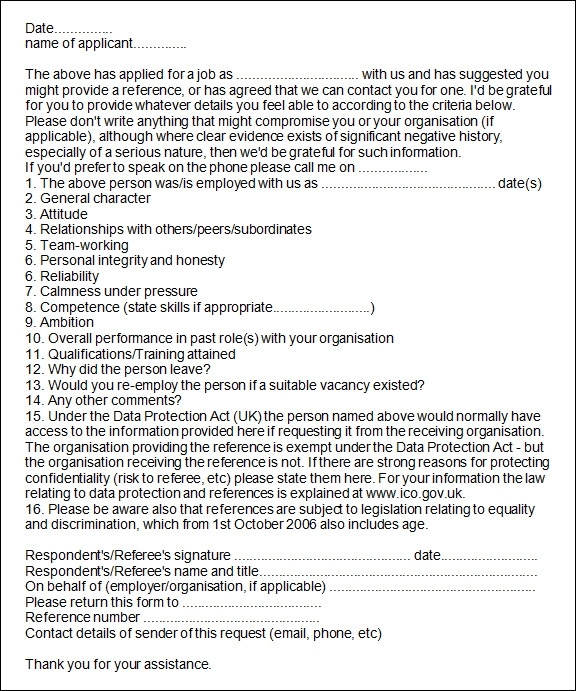 This is a template design that can be used by any company who is looking to conduct a reference check for a new employee. This is a letter format that has all the attributes mentioned that needs to be satiated. The letter format has a very corporate and formal look and feel. The design of the letter has certain literature mentioned. However there are certain spaces left blank that can be edited as per requirement. The user here can feed in the name of the person who is giving the recommendation and also the name and the details of the person for whom the recommendation is being given. 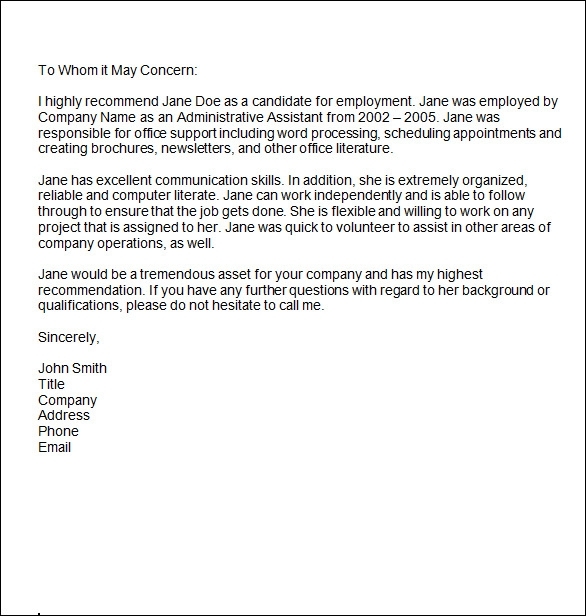 Highly suitable for an effective recommendation and a reference letter, users can download this letter in the form of word documents. This template has been provided with an array of great technical features and has a great resolution range for very good quality printouts. The entire template is editable and has superb responsive features. 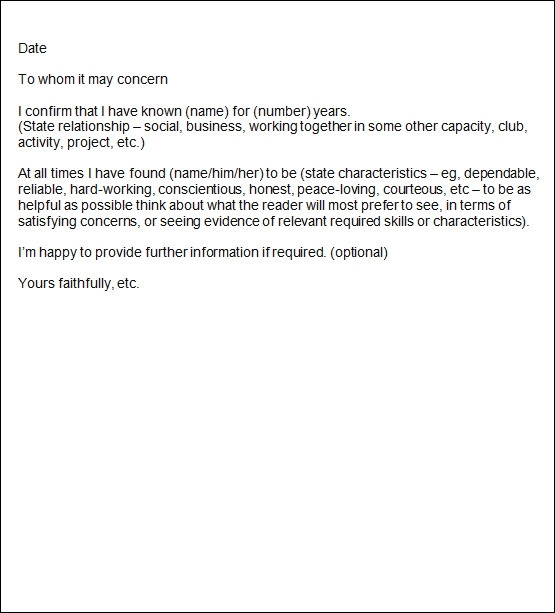 The layout of the current reference letter template has a personal touch. 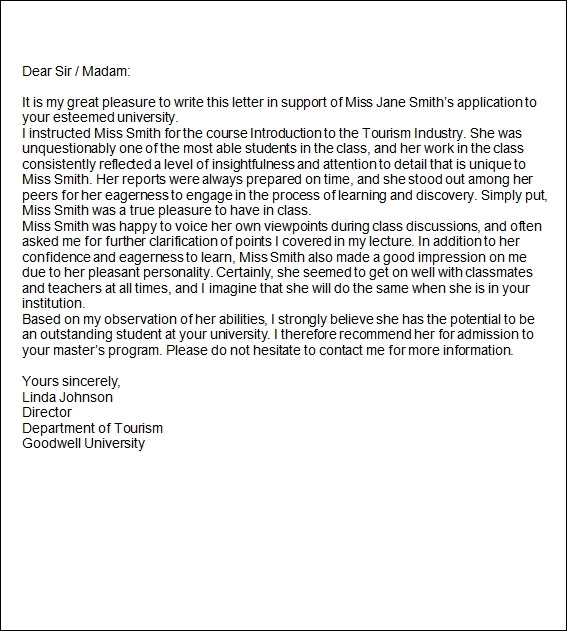 The frame of the letter provides not just an idea of the person about whom the recommendation is being given but at the same point the person giving the recommendation mentions that how does he know the person he is talking about. The template has a very neat and clean look. Very corporate and professional in its look and format, this is a design template that has a very formal and sober look. 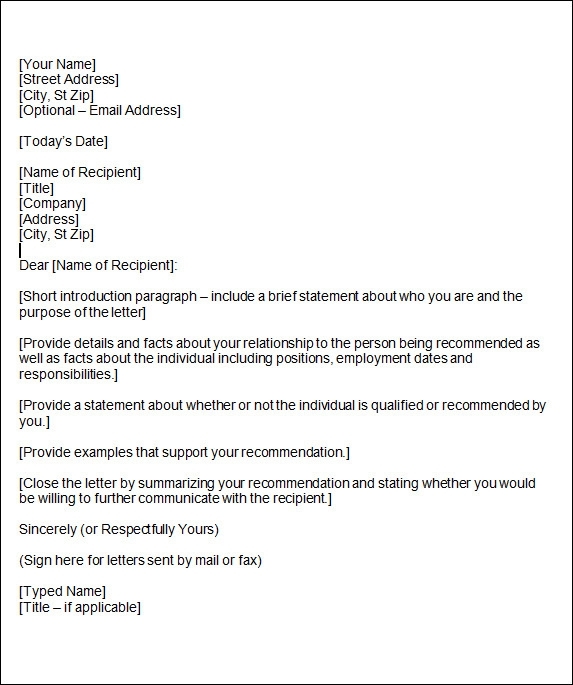 The template structure supports some of the basic information that is relevant for a reference letter. 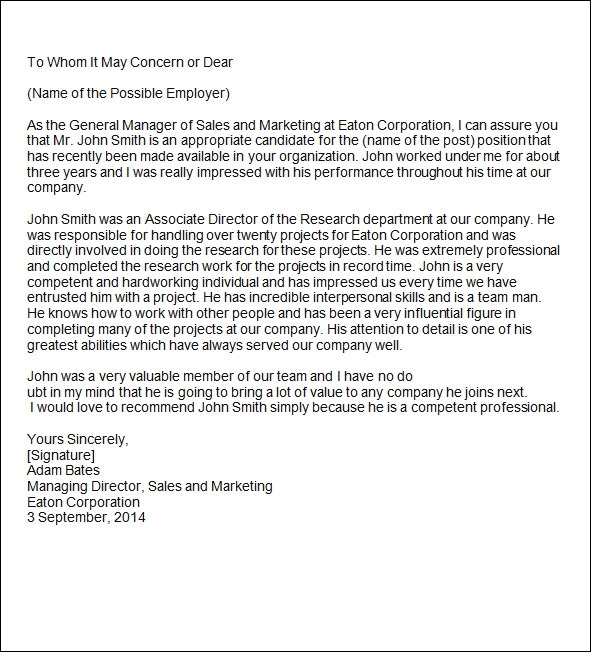 This is the reason that users, both employees and the employers can download this template for the purpose of making an impressive reference letter design. This is a format of a letter that can be sued to intimate a fried n that a reference check is going to happen for which you need his or her help. The feel of the letter is very warm and yet formal. The language is smooth and simple. 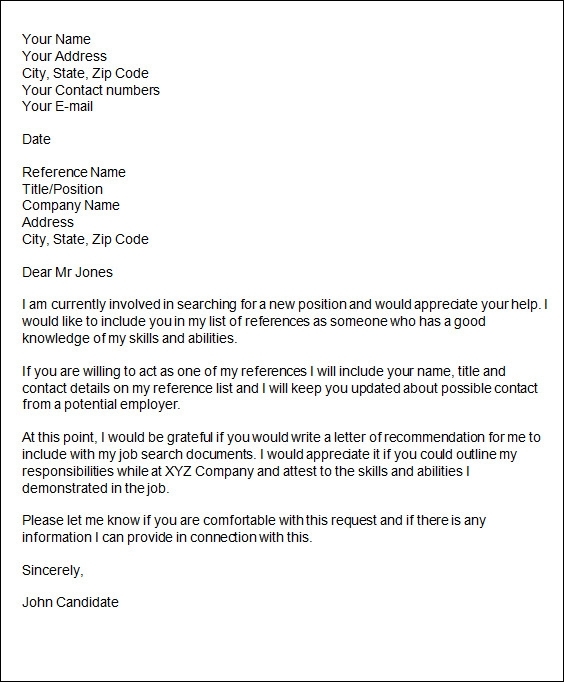 Reference letters are important documents that can add value to your career. 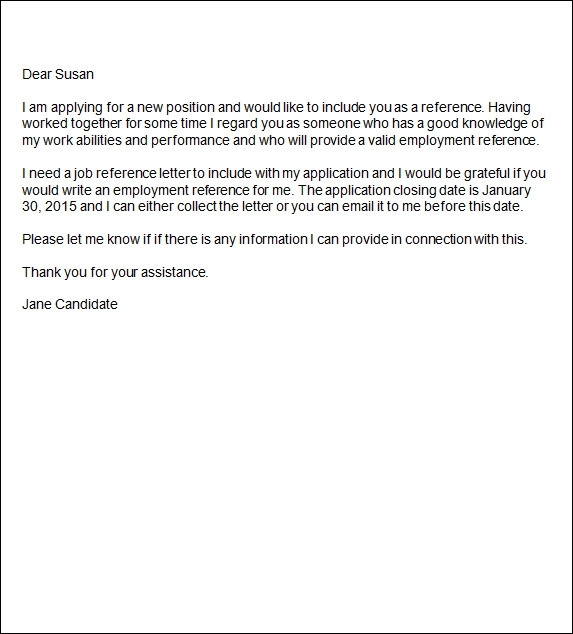 Trust the reference letter template to create some of the most effective and impressive letters.